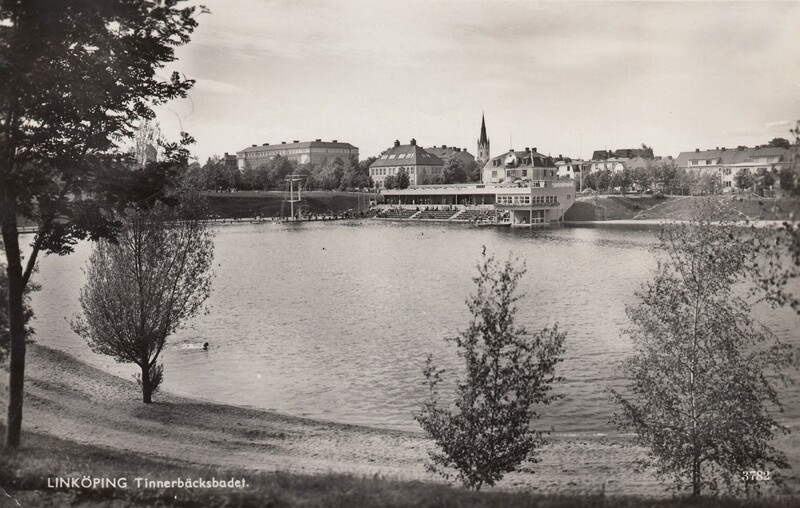 A postcard from the city of Linköping, Sweden in the 1940s. We are Roger, Tina, Pontus and Mattias Roback from the city of Linköping, Sweden. A couple of years ago we decided to start doing some family history research. The more information we found the harder it was to keep track of it all. To have a place to put all information about our family we created this website. Another reason why we created this website is to try to get back in touch with the American side of the family. This is also the reason this website exists in English. Our family originates mainly from Östergötland and Småland in the southern part of Sweden. By searching through old church-records and estate inventory records we can trace out family back to the 17th and 18th century. The persons on top of the red background are the persons in our family that emigrated to America, and their children. The rest of the persons in the tree are the family that stayed in Sweden. We (the creators of this website) are the persons on top of the green background. Five of our relatives emigrated from Sweden to the US in the early 1900:s. Their names was Anna, Gerda, Pontus, Erik and Arvid Gustafson and they were siblings. They sent photos and letters to the part of the family that decided not to emigrate to the US. Some of them even came back a few times to visit their family in Sweden. When the five siblings that emigrated from Sweden to the US died in the sixties, seventies and eighties we lost contact with that side of the family. Their children and grandchildren still live in the US. Most of the photos that was sent to us here in Sweden from our relatives in the US can be found on this website. The reason we uploaded the photos here is to try to get back in touch with our relatives in the US. If you know who one of the persons listed on this website is or if you recognize anyone in the photos, please contact us, either by a comment in the guestbook or by filling out the contact form. It would be great to get in touch with the American side of our family again. By using the photos and letters that the five brothers and sisters that emigrated from Sweden sent back we tried to work out the names of their children and husbands/wives. By using FamilySearch and EllisIsland to find US census records and ship records of our relatives we worked out where they have lived. With Find A Grave we managed to locate their graves and by using Google we also found a couple of online obituaries of some of their children.